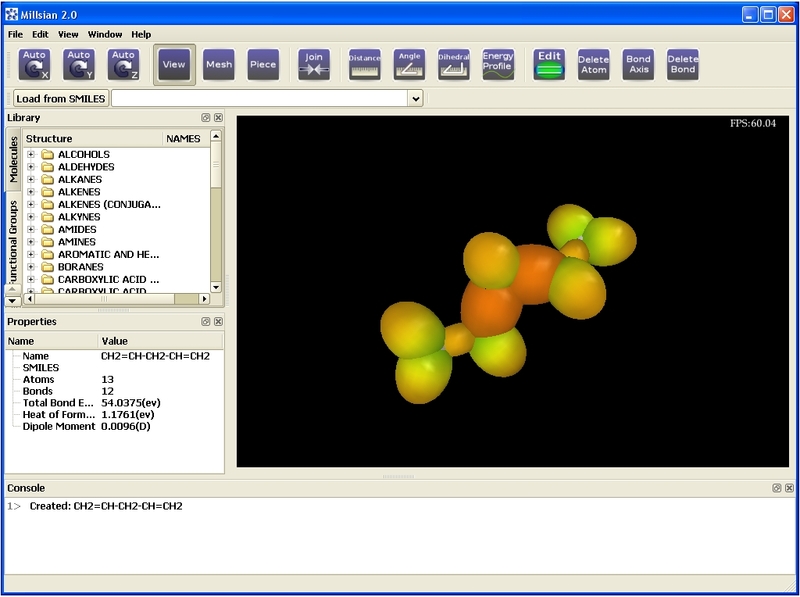 Millsian software, built on a new classical approach to solving atoms and molecules, is a molecular modeling tool targeting pharmaceutical, biotechnology, and chemical researchers. According to Millsian theory, electrons are localized in molecules to functional groups that act as building blocks, or independent units. Having solved each group, organic molecules of arbitrary size and complexity may be modeled trivially and almost instantly on a personal computer. Our results are verified by rigorous comparison to observed values, and outperform competing methods. Log P- The partition coefficient is one criterion used to, amongst many uses, assess the druglikeness of a given molecule. Evaluate molecules for binding sites, reactive sites, and pockets, using our exact charge distribution profiles and optimized molecular structures. Calculate optimized molecular structures for molecules not in existing databases. Reduce your reliance on molecular structure databases. Edit protein structures by auto-detecting missing hydrogens, and use our bond order correction tool for complex molecules like PDB heterogens. Calculate dipole moments and rotation barrier heights for molecular conformation changes. Convert between SMILES, MOL, and PDB file formats. Generate optimized 3D structures for molecules with complicated fused rings from SMILES input. Energy minimization including the following algorithms: Steepest Descent, Steepest Descent with dihedral angles, Simulated Annealing, Genetic Algorithm. Automatically adds hydrogen atoms to molecules to satisfy valence. Automatic generation of 3D coordinates for molecules including complex cyclic molecules. Turn on/off the chains in modeled and displayed proteins. Amino acid template to facilitate modeling proteins. 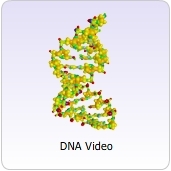 Base pair templates to facilitate modeling DNA and RNA. Display charge profile of the molecule surface. (essentially all molecules except metals and ionic compounds). These are calculated instantly on modern desktop computers. CP and other Millsian file types. Multi-molecule display up to infinite sized molecule (limited by computer processor and video card capabilities). OpenGL graphics right-sized to the hardware. Rotation of the molecule to gain better view of the molecule from different angles. Whether you are in industry or academia, your feedback is vital to our ability to create an effective tool. Please feel free to suggest new features or specific problems you address in your line of work.